Attrition attributes to the reduction of an organization or business establishment in size or number. Call center industry is considered to be a sector where a huge percentage of nation's youth is employed in various segments. This industry is growing at a rapid pace but one important aspect is obstructing its growth. Well, we are talking about the 'Attrition Rate.' Attrition rate has started making an imbalance in the entire process of customer support services industry. A research shows that the attrition rate of contact centers has come up to (24-25)%. Especially, it is arising from the voice-process as compared to the non-voice schedules. Rigorous shifts, work monotony, workload and physical strain, etc. are some of the basic elements that propel this concept. Therefore, it is high time to determine the factors that are leading this negative element to switch the progress level of call center services. Skills Development plays a vital role in motivating the work staff. 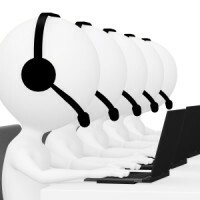 There are many call centers that use multi-skilling as a method to be more efficient. Acting as the development tool, this method allows upgrading the personal skills of an employee that can result to deliver better service while handling any customer. Regular training, interactive sessions, financial rewards are some of the methods through which an employee will stick to the organization's interest. An effective communication process can minimize the gap amongst the staff members and management. There is a need for every staff to understand the business goals. Your employees should think that they are always included in the company matters and given equal opportunity to share their feelings. The work appreciation also plays vital role in considering the interest of the employees. Therefore, an effective management style needs to be developed and employed should feel valued about the call center services they render. Sometimes it is observed that some call centers does not maintain Work-Life Balance. If a family-friendly legislation is followed, a clear picture is developed about the work style of the staff. Flexibility in working schedules, good values and work-play culture would motivate the employees to create a positive vibe for their organization. Attrition is already considered to be a great threat to customer service industry. The involvement of Human Resource team can be a great assistance to avoid this step. Call Centers India is an organization, where attrition hardly occurs. The customer center services should always work on the interests of the customer support service employees and motivate them round the clock.